PRINCETON, NJ – Devin Williams of the Tulsa Oilers has been selected as the Warrior Hockey ECHL Goaltender of the Month for October. Earlier in the week, Williams was also named CCM ECHL Goaltender of the Week for the first time in his career. The rookie becomes the second consecutive Oilers goaltender to win the monthly award for October, following Jamie Phillips in 2016. Williams, 22, went 4-0-0 with one shutout, a 1.83 goals-against average and a save percentage of .949 in five appearances during the month. He made at least 33 saves in each of his four starts in October, and posted his first professional shutout on Oct. 28, stopping all 45 shots he faced in a 2-0 win against Allen. A native of Saginaw, Mich., Williams is tied for the ECHL lead with four wins while ranking third in the league with a 1.83 goals-against average and a .949 save percentage. 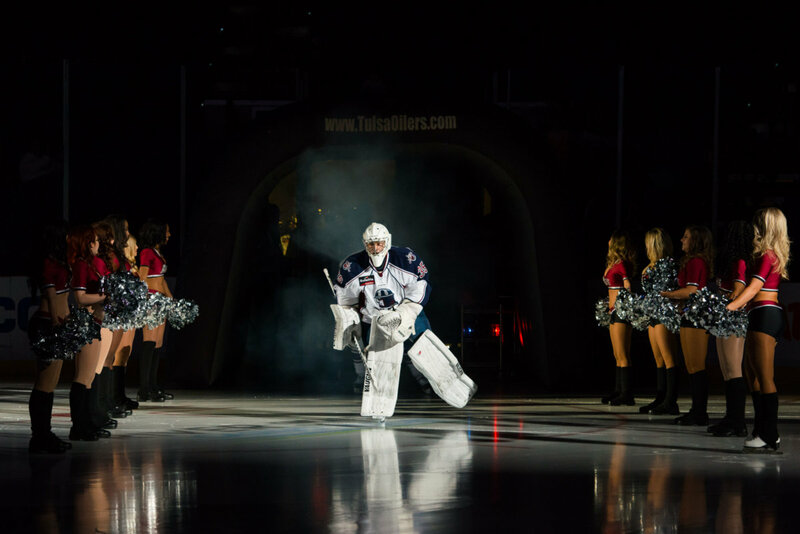 The Tulsa Oilers return home to the York Plumbing Ice at the BOK Center on Friday and Saturday, when the team hosts the Utah Grizzlies at 7:05pm both nights. Tulsa will wear special denim-themed jerseys Saturday night, sponsored by Drysdales Western Wear, which will be auctioned off following the game.